Trade and sell - Freestampcatalogue.com - The free online stampcatalogue with over 500.000 stamps listed. We do not buy or trade used, fdc's, maximum cards or unused hinged material. On our buying lists you can only find Mint NH and unused postal stationery. 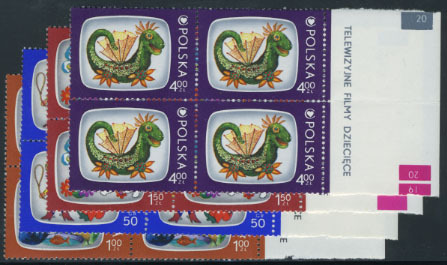 We offer a unique opportunity to sell stamps to us or to pay for your order by trading stamps. You can see what you can sell or trade with us, including the quantities we want, and our fixed buying or trading prices, by clicking Sell or Trade at the bottom of this page. Please first read how to proceed step by step. Step 1 Check if the stamps you want to send are listed on our trading- or buying lists. Please don't exceed the maximum quantity. The total value of your shipment must be at least 100 Euro (due to relatively high handling costs we cannot accept smaller shipments). If you want to trade stamps you have to be a registered client. It is only possible to place your order in exchange for your trade with the order buttons on our websites. Step 2 Please carefully check if your stamps are absolutely mint with original gum, without hinge (traces), without brown spots, not folded, undamaged perforation and without further damage. A. Place your stamps in a stockbook or on stockcards (never stick double-sided on stockcards!) with little papers with our order numbers (number on left side of row in lists) next to the stamps. B. You may also deliver stamps in small glassine bags. In this case, first write the number on the bag and put the set in the bag. If you have more of the same set, please put them together in one bag. Bags must be open at one side! Do not use minigrip bags. For both methods, it is very important to deliver sets separately. 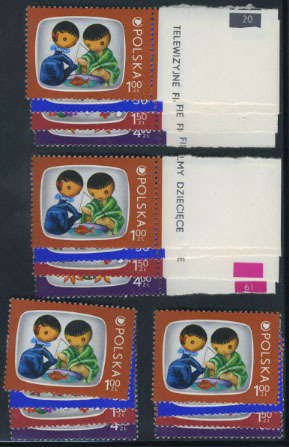 If you have sheetlets, blocks or pairs of the same stamps, please divide them before shipping to us. It is not necessary to remove borders from stamps. Unfortunately we cannot accept any other method of sending any more. Where methods other than those described above are used we will charge extra handling time at the rate of € 30.= per hour, or we can return them to you at your cost. If all stamps are from the same country, you may also omit the country code (first 3 letters). Step 4 Pack all carefully with a cardboard in plastic and in an an envelope. Write a big T in a circle on your envelope if you want to trade or a B in a circle if you want to sell to us. This is important for delivery to the right department in our company. Enclose your address and e-mail address on a paper in the envelope. And if you want to sell enclose your banking data (account number or IBAN number, bank name, bank address, bank code) or your paypal account details. We never pay by sending cash. It is a prerequisite that you will only send stamps of good quality that are shown as wanted on our trade-in lists. If stamps are delivered to us that don't match our requirements they will be returned to you at your own cost. Items with our valued price of at least 300 Euro have to be accompanied with an approval certificate (this is because there are many forgeries in existence for high value items - this is already the case with values of at least 100 Euros). Shipping is built into our buying price quotes. We don't pay postage costs for shipments to us. All eventual customs declarations and/or VAT taxes to be paid by us to receive your parcel will be deducted from our payment to you (the Dutch margin-VAT tax, under which stamps are classified does not allow us to receive refunds for paid VAT). This can be 6% for valued packets from outside the EC. Dealers from within the EC must provide an invoice with each shipment indicating that the delivery is according to VAT Marginrules. Our buying and trading prices are without reservation subject to price fluctuations and no responsibility is accepted for typing errors. Our lists change almost every day. Please always refer to the latest lists. We reserve the right to refuse items that have been moved from our buying or trading lists more than two weeks before we received your shipment. Orders that you want to pay for by trading stamps MUST be placed through our shopping system! Click on Trade at the bottom of this page. Within one week of receiving and handling your shipment, we will make a payment to your bank account or Paypal account (it is not possible to pay to bank accounts in Cuba, North Korea or Zimbabwe - unless previous agreement has been made). If you have a bank account outside the euro currency zone we will charge banking costs as follows: 6 Euro if the total value of your shipment is between 100 Euro and 200 Euro, 3 Euro if the total value of your shipment is between 200 Euro and 300 Euro. There is no charge for shipments above 300 Euro. All bank transfer payments will be shared. We do not charge these fees when we use Paypal as the payment method. We do not pay by sending cash. Please note that in the holiday season (months July & August, due to limited manpower at our office), it might take up to 4 weeks to handle your shipment! Due to international regulations we do not buy or trade stamps from citizens of Cuba, North Korea, Myanmar, Sudan and Syria. WE ONLY BUY MINT-NEVER-HINGED STAMPS WITH FULL ORIGINAL GUM.